Eine umfassende Schule fur Gruppen-, Einzel- und Selbstunterricht. Composed by Brian Bonsor. Sheet music. Edition Schott. Instruction, Classical. Teacher's edition. 158 pages. Schott Music #ED11469. Published by Schott Music (HL.49002833). ISBN 9780901938749. 8.75x11 inches. English. The best way to learn any instrument is to have lessons from a good, experienced teacher. 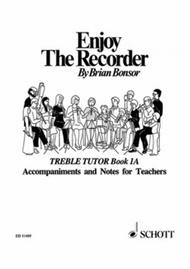 Although, happily, the number of such teachers is constantly growing, the recorder is still frequently taught by enthusiastic but inexperienced teachers and many players start by teaching themselves.This series of books sets out to help learners of all ages in all three situations. Experienced teachers, who may choose to disregard much of the text as personal demonstration is always clearer than the written word, will find exercises and fine tunes a-plenty to support their own mathod at each stage. The less experienced willbenefit from many valuable teaching hints culled from long experience and may rely on the books to lead to a sound playing technique and a mastery of simple notation.Those learning by themseves - and I started in this way - are urged to work carefully and systematically through the books, taking plenty of time to assimilate each point before moving on. For them, without the personal model provided by a live teacher, it is vitally important to listen as often as possible to fine players, in person or on record, so that they have in their mind's ear a clear notion of the kind of sound they would like to produce.But however they start, I can only wish that all who use these books will derive as much pleasure and musical satisfaction and gain as many lasting and valued friendships as I have through this most subtle, delightful and sociable of instruments. 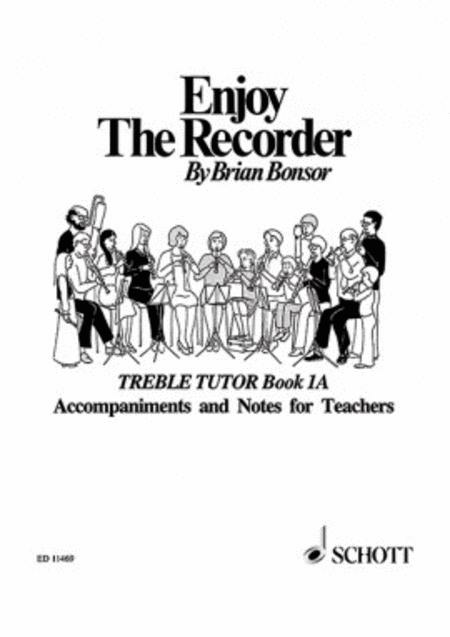 (Brian Bonsor)'...this work is likely to become a standart work very quickly and is to be recommended to all schools where recorder studies are undertaken' (Oliver James, Contact Magazine)These two tutors, with accompanying teacher's books, are for newcomers to the instrument who are beginning on the treble and so assume no previous knowledge either of the instrument or of musical notation.